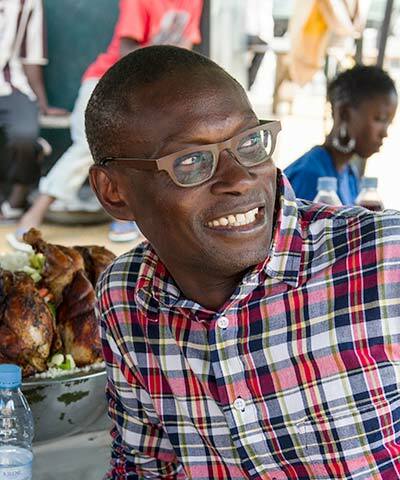 Pierre Thiam is a chef, restaurateur, and cookbook author from Senegal. His first cookbook, Yolele! Recipes from the Heart of Senegal, was a finalist for the Julia Child Cookbook Award and won the Gourmand World Cookbook’s Special Jury Award at the Paris World Cookbook Fair. Thiam has appeared on several TV and radio programs, including the Food Network's Iron Chef, Gourmet Getaways, Sara’s Secrets, ABC's Eyewitness News, Fox 5 Good Day NY, NBC's Today, Martha Stewart Living Radio, and NPR's Splendid Table. He was also profiled on CNN’s Inside Africa.